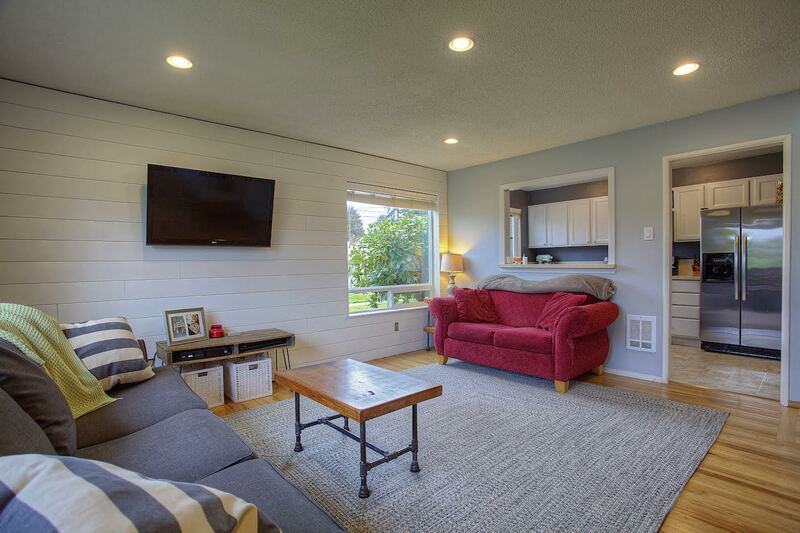 Beautifully remodeled and showing off contemporary style, this 1949-built Tacoma treasure nestled on a spacious corner lot is an absolute delight! Featuring a one-level, 1,212-square-foot layout with 2 bedrooms and 1 bath, this inviting residence also boasts an updated kitchen and a new roof (added in 2016)! Showing off hardwood floors, spaces filled with natural light, and stylish modern finishes, this home is conveniently move-in ready. 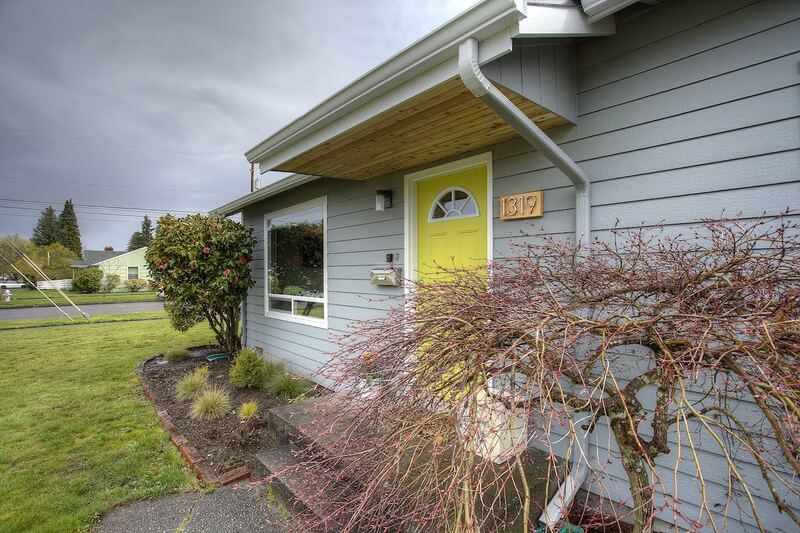 Located at 1319 N Mullen St Tacoma, WA 98406 in a fabulous North Tacoma location, this home is listed for $284,950. A lush green yard with neat landscaping greets visitors, and a trendy contemporary exterior color palette offers an eye-catching preview of the beauty that awaits inside! Step in through the front door and a sprawling living room and adjacent dining area offer a welcoming atmosphere to enjoy, whether you’re hosting a house filled with guests or simply enjoying a quiet evening in the comfort of home. Sunlight cascades in through wide windows and a skylight, adding to the cheerful feel of this warm and inviting space! The adjacent, updated kitchen shows off a striking color palette, attractive cabinetry, sleek appliances, and an efficient design! A large window fills the room with bright light, making it a joy to spend time in as you whip up meals or prepare school lunches in the morning. A large pantry area provides even more storage space for your convenience. Each of this residence’s 2 comfortable bedrooms feature cozy carpets and a cool, calming color palette. In the master suite, find plenty of closet space, plus access to the home’s large, dreamy laundry room! This large hub of organization is perfect for keeping the household running smoothly, and cabinets and shelving offer ample storage. 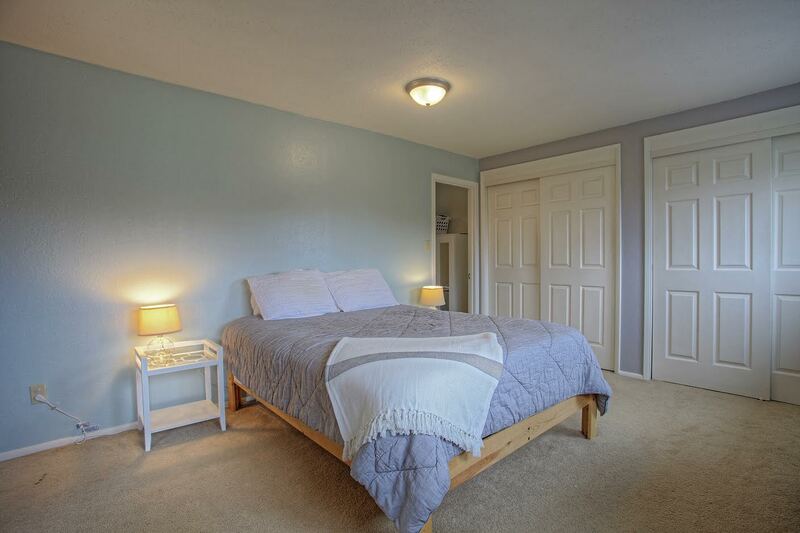 The additional bedroom also includes a large closet, with room for dresser storage as well. Each of these retreat’s are just waiting for you to infuse your own personal style into the decor! When the sun comes out, head out back to take advantage of this home’s huge, private backyard! Fully fenced and featuring a spacious patio area, this retreat is just waiting to fulfill your vision of outdoor perfection. Imagine some comfy patio furniture and vibrant flower baskets alongside a barbecue on the patio, and a play toy or raised garden beds in the grassy area! Plus, a storage shed and an attached 2-car garage ensure there’s plenty of room for storing your outdoor toys and tools. 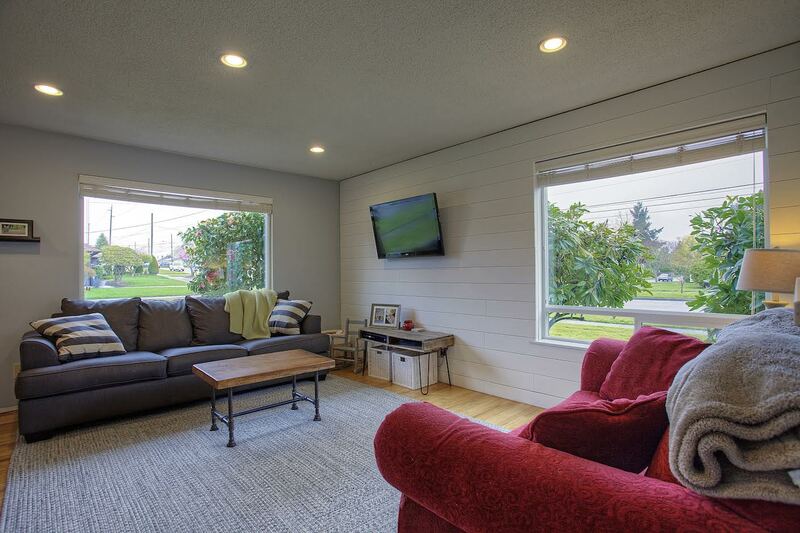 Surrounded by shopping, restaurants, parks, schools, and easy access to freeways and the rest of Tacoma, at 1319 N Mullen St Tacoma, WA 98406, you’re nestled in a truly prime location! Kandle Park and Jefferson Park are merely minutes away, offering lovely opportunities for play and spending time outside. Wilson High School, Jefferson Elementary School, and University of Puget Sound are just a few blocks from home, and the bustling 6th Ave and charming Proctor District are both within reach as well. On 6th Ave, enjoy shopping, several restaurants, and nightlife, while Proctor offers grocery shopping, dining, shopping, and more! Interested in learning more about this listing? Contact REALTOR® Pat Busick online here or give her a call/text at (253) 732-8750.